Samsung is in the middle of a major recall of its Samsung Galaxy Note 7 smartphone due to some of the handsets catching fire. The FAA in the US are looking into what to do about the issue with the handset and now three Australian airlines have banned the handset being used on their flights. 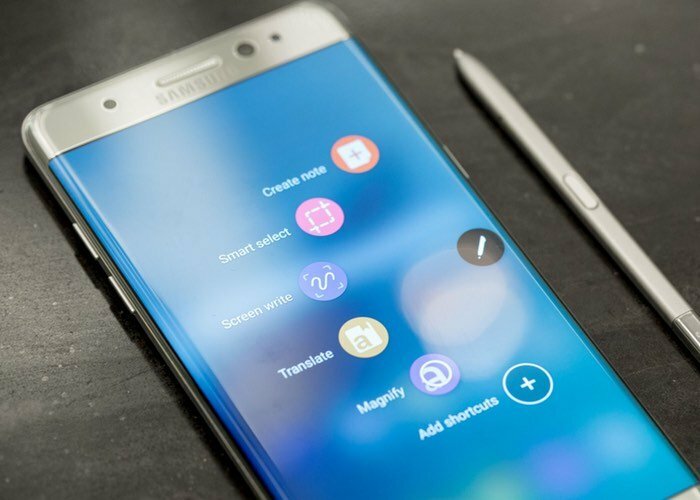 Passengers will not be allowed to use or charge the Galaxy Note 7 during flights, they will be allowed to bring the handset on the flight but will have to turn the handset off. “Following Samsung Australia’s recall of the Samsung Galaxy Note 7 personal electronic device we are requesting that passengers who own them do not switch on or charge them in flight,” a Qantas spokesman said in an emailed statement. This is not exactly the best news for Samsung and we wonder if any other airlines will do something similar.